Born in neglected, once prized, pottery and similar treasures. Rumored to grants wishes to those who can make it smile. 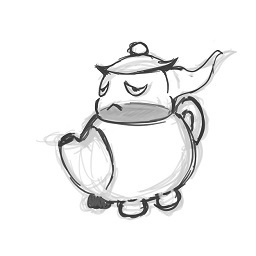 Brewdin, the Genie tuxemon, is a Metal-type monster. Designed by Kyu. Name by Sanglorian. This page was last modified on 29 July 2018, at 04:58.